Tim is the President of Floridians for Recovery, a statewide addiction recovery advocacy organization, and the managing partner of Chooper's Guide, a comprehensive addiction treatment and information and web resource. He also owns and operates Clark's Cove Farm & Inn in Maine. He's been involved professionally and personally with addiction treatment, recovery and research for thirty five years and has been in recovery since 1981. He received a B.A. from Boston University in Sociology, attended Yale Divinity School and is a Certified Personnel Consultant and Certified International Personnel Consultant. 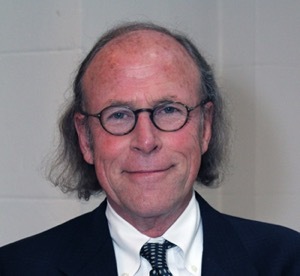 Tim was the Founder and President of two Connecticut-based human resource and technology companies, Chairman of a public international technology corporation and has been active in the substance abuse and child welfare communities for thirty one years. He serves on numerous boards including the Children's Home Society of the Treasure Coast. He has received numerous awards including the Children's Home Society of Florida, Treasure Coast Division, The David & Lorraine Thomas Child Advocate Award 2009; the Congressional Award , Flag of the United States for Advocacy with Foster Children 2009; and the Guardian AD Litem 19th Judicial District - Florida Annual Child Advocacy Award and the Presidents Call to Service Lifetime Achievement Award from the White House in 2013.